Keeping up with the Kardashians season 16 trailer looks epic. Does Keeping Up With The Kardashians season 16 trailer prove Jordyn Woods scandal was a stunt? Video via KUWTK on E! Fans already had their eyebrows raised when the first trailer dropped at the start of this month, pointing to relative speed at which the scandal has translated into a Keeping Up With The Kardashians storyline. Normally, as was the case with Kim Kardashian’s Paris robbery, or Kanye West’s breakdown, it isn’t for months that we see the fall-out on the family’s reality series. That’s because the show is filmed and edited quite far in advance. Basically, the family are betting that something interesting will happen in their lives, but they don’t build a whole season around a scandal, and they don’t feel the need to rush to get those episodes of them dealing with the fallout to viewers. While conspiracists might say it proves that the scandal was completely made up (the brainchild of Kris Jenner of course), it really points to one of two scenarios. 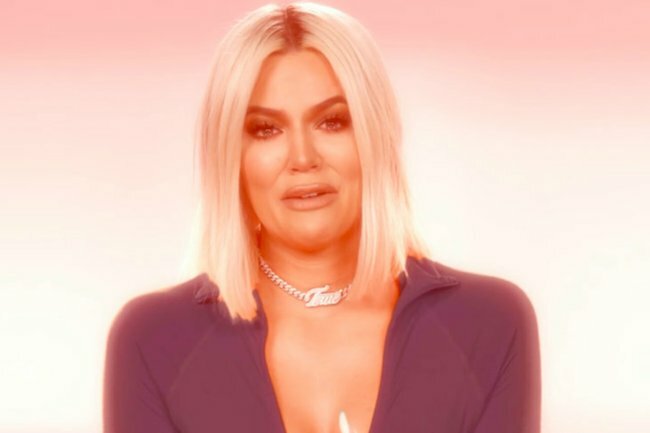 Either the Kardashians realised the appetite for the cheating scandal fallout was so great that they decided to give viewers what they want and rush to put together episodes of Khloe dealing with it. Or before the season erupted they realised they had nothing. Nada. Well besides Kim’s new baby and Scott Disick’s continued relationship with a 20-year-old. So when Jordyn Woods kissed Tristan at a party (who good evidence points to was Khloe’s ex at the time) the family saw their opportunity to create a KUWTK storyline and they seized on it. In that case, they would have let people believe that Tristan’s latest “cheating” (and not, every other time before that) broke up Khloe’s family and ran with it from there, making sure to get their angry reactions all on camera. Genius. But hey – there’s also a third option: that this author is reading way to much into this and needs to develop some more meaningful interests. Maybe that.